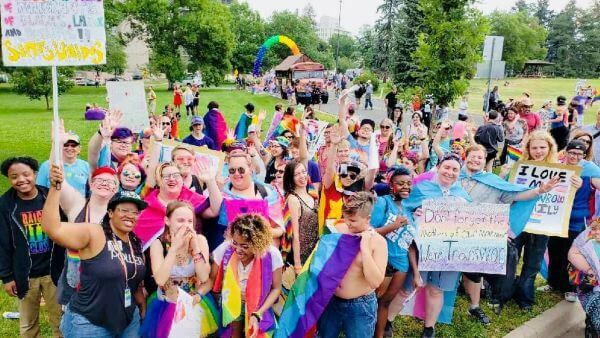 Denver PrideFest Said it LOUD and PROUD in 2018! Officials at the GLBT Community Center of Colorado (The Center) estimated 425,000 people attended Denver PrideFest on June 16 & 17, 2018. The Center produces the annual LGBTQ pride festival each year as a benefit for the year-round programs and services provided by The Center. Denver PrideFest is the largest celebration of its kind in the Rocky Mountain region. “Crowds were huge all weekend,” said Center CEO Debra Pollock. 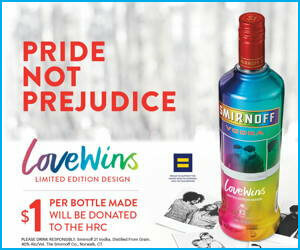 “We were especially impressed by attendance at the Coors Light PrideFest Parade on Sunday morning.” Pollock noted that many sponsors and other employers walked with huge groups in the parade. “Our major sponsor U.S. Bank had 200 people as part of their contingent alone,” Pollock noted. “It was amazing to see all these corporations making an important statement of support for the LGBTQ community,” she continued. The parade had the largest participation ever with a record-breaking 211 entries. Community groups, non-profits, and LGBTQ owned-businesses also came out en masse in support of the community. Youth from Rainbow Alley wait to start marching in the Coors Light PrideFest Parade on Sunday, June 17. 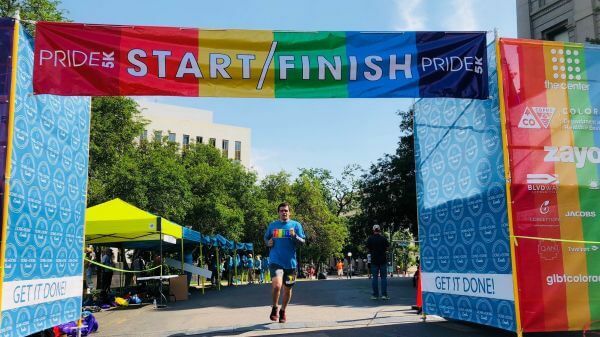 The weekend started with the PRIDE 5K, a run/walk to support the work of The Center, with 732 participants registered for the race. From there, the crowds just kept on coming. 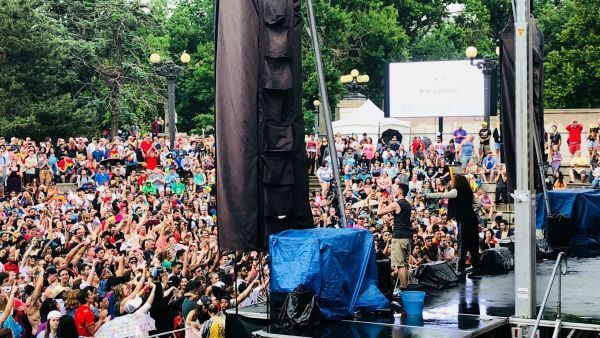 Despite some rainy weather on Sunday afternoon, the party continued with popular appearances by entertainers such as drag queens Kameron Michaels, Thorgy Thor, Morgan McMichaels and singer Crystal Waters. Exhibitor space at the festival sold out two weeks earlier than in previous years. “We were completely out of exhibitor space by mid-April,” Pollock noted. Overall, the festival saw a 12% increase over last year’s participation. A runner in the Pride 5K crosses the finish line on Saturday, June 16. Crystal Waters performs on Center Stage on Sunday, June 17. Staff from The Center mingle with community members at the AARP SAGE of the Rockies Resource Area at Denver PrideFest. Major sponsors included: Coors Light, Xfinity, Wells Fargo, Get Your Gay On!, U.S. Bank, Smirnoff, Nissan, Sheraton Downtown Denver, Smartypants Vitamins, Walmart, Extraction Oil & Gas, and A Perfect Bite Catering. Supporting sponsors included: AARP Colorado, Colorado Department of Health and Environment, Eldorado Natural Spring Water, Floor & Décor, King Soopers, Metro PCS, and United Airlines. Participating sponsors included: AMR, Babes Around Denver, Bank of the West, Barefoot Wines, Colorado LGBTQ Chamber of Commerce, Denver film Society, Denver Museum of Nature & Science, ESP Insurance, HP, Jacobs, Matthew Shepard Foundation, One Colorado, Proud to be Prepped, Rose Medical Center, Target, University of Colorado, Visit Denver, We The People Clothing and Zyn. Artist Lonnie Hanzon’s “Equal Threshold” installation at Denver PrideFest, supported by Nissan. Exhibitor space and parade entries for the 2019 festival will be available after the first of the year online at the festival website, DenverPride.org. 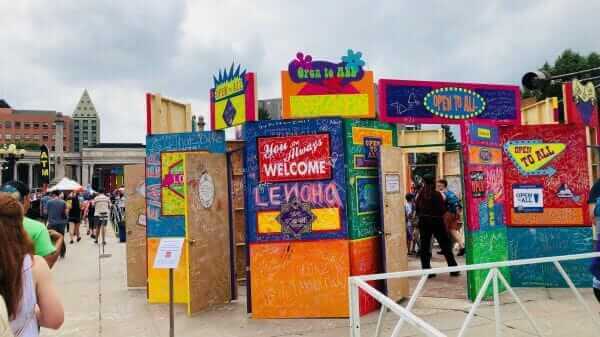 “We are excited to see the new ways the festival can grow in 2019 as we prepare to celebrate the 50th anniversary of Stonewall and the beginning of the modern LGBT civil rights movement,” Pollock concluded. 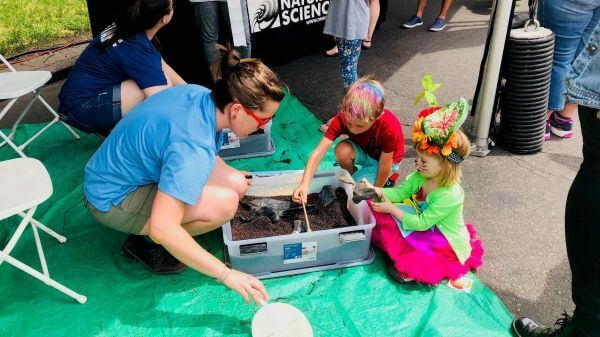 Kids visiting the festival interact with an employee from the Denver Museum for Nature & Science in the Smartypants Vitamins Family Area. 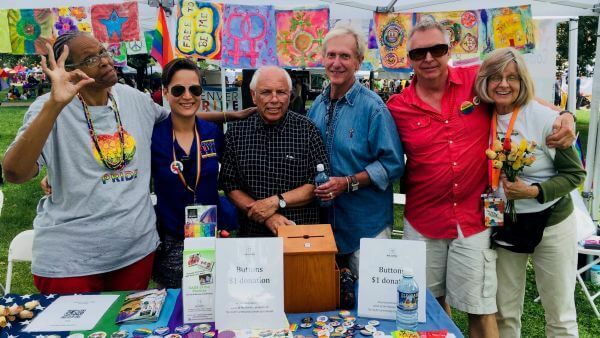 Denver PrideFest supports The Center. The Center opened in 1976 and over the years has grown to become the largest community center in the Rocky Mountain region, giving voice to Colorado’s LGBTQ community and playing a pivotal role in statewide initiatives to reduce harassment and discrimination. 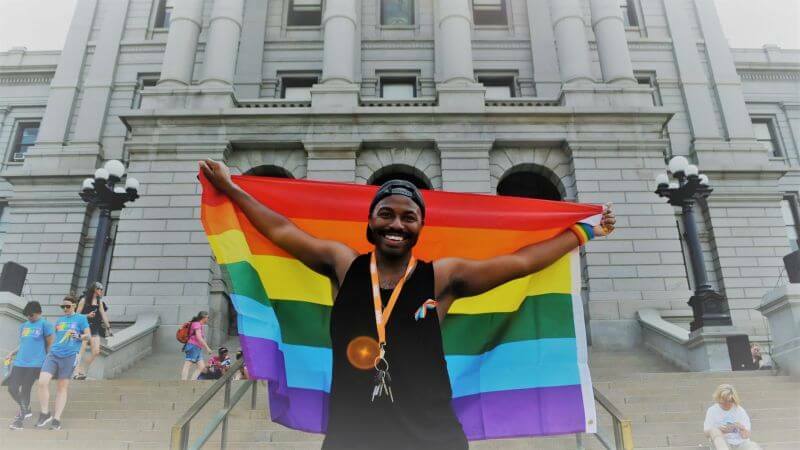 Today the Center is focused on fulfilling its mission – to engage, empower, enrich and advance the gay, lesbian, bisexual and transgender community of Colorado – by ensuring that every member of the LGBTQ community has access to the programs and resources they need to live happy, healthy, and productive lives. The Center currently operates on an annual budget of $2.2 million, employs 20 staff members and utilizes more than 500 community volunteers to serve more than 47,000 people each year. 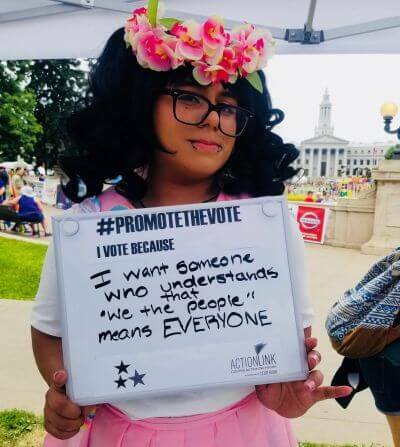 A festival attendee stops by the Transgender Resource Area at Denver PrideFest to #promotethevote. Over 400 volunteers supported the festival all weekend long, and The Center remains inspired and grateful for all the help after such a successful community event. Hope to see everyone back again next year! 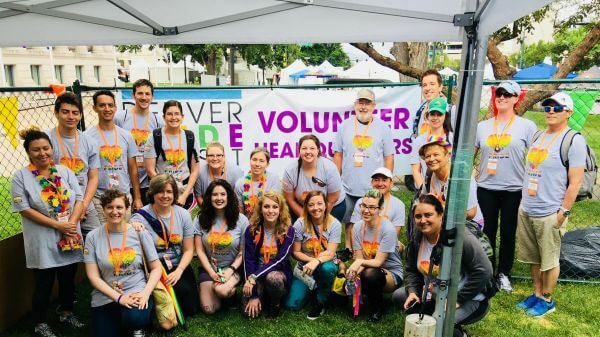 A group of volunteers pose for a picture in Volunteer Headquarters at Denver PrideFest.